"It's more than music...it's a way of life." Hair bands become wildly popular during the late 1980's. Faster Pussycat, Megadeth, and Lizzie Borden all perform. Successful stars that made it such as Gene Simmons and Paul Stanley of KISS, Ozzy Osbourne, and Steven Tyler of Aerosmith all offer their own insights into the scene and what is required to be a success. The nightclubs of the era are prominently featured as well. 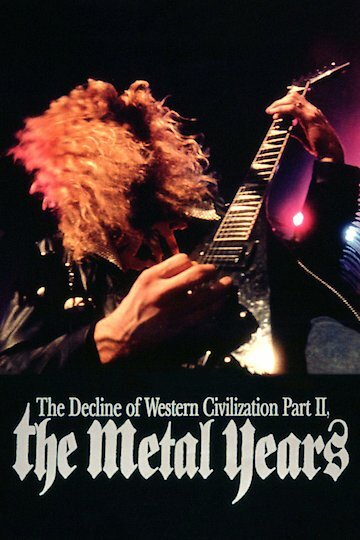 The Decline of Western Civilization Part II: The Metal Years is currently available to watch free on Tubi TV and stream, download, buy on demand at Amazon Prime, Amazon, Vudu, Google Play, YouTube VOD online.